This carefully crafted ebook: "IN THE HIGH VALLEY (Katy Karr Chronicles)" is formatted for your eReader with a functional and detailed table of contents. 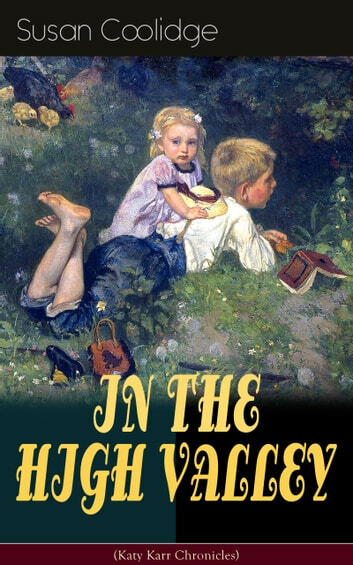 In the High Valley – Belongs to What Katy Did series and narrates the story of the cousins from Britain, Lionel and Imogen, on a visit to their American counterparts. Clover, Katy Carr's sister, is now happily married. She is at her wits end with Imogen's prejudices and Katy makes a comeback. "Curly Locks" – is an additional short story which shows Dr. Carr, the father of Katy and Clover, with one of his little patients. Susan Coolidge, pen name of Sarah Chauncey Woolsey (1835–1905), was an American children's author who is best known for her Katy Carr Series. 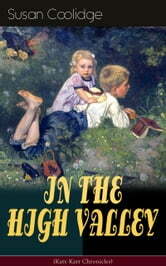 The fictional Carr family of this series was modeled after Woolsey's own family and the protagonist Katy Carr was inspired by Woolsey herself; while the brothers and sisters "Little Carrs" were modeled on her four younger siblings.